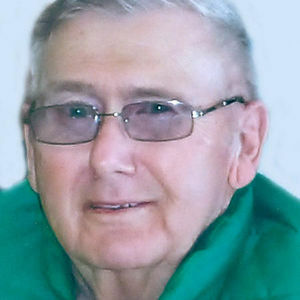 Ardell C. Wickoren, 76, Wyndmere, ND, passed away Monday, April 22, 2013, at Essentia Health, Fargo. The Funeral Service will be Thursday, 2:00 PM, at Wyndmere Lutheran Church, Wyndmere, with Rev. Bob Caranicas officiating. Visitation will be Wednesday from 5 PM to 8 PM, with a 7 PM Prayer Service at Willow Creek Chapel, Wahpeton, and one hour before the service at the church. Interment will be at Freeman Cemetery, rural McLeod. Vertin-Munson Funeral Home, Wahpeton, is in charge of arrangements. Ardell Curtis Wickoren was born March 8, 1937 in McLeod, ND, the son of Ingvold and Nellie (Sveum) Wickoren. He was baptized and confirmed in Bethany Lutheran Church, McLeod. He attended school in McLeod. At an early age he took an interest in farming and ranching with his Uncle Nelius Sveum and continued working with Uncle Milard Sveum. He worked for LeRoy and Lila Erickson, Delamere, ND, before moving to South Dakota for five years where he was a feedlot manager. Ardell took much pride in his 36 years with Wil-Rich Manufacturing, Wahpeton, where he was a welder. He was united in marriage to Kay Lloyd at Trinity Lutheran Church in Lisbon, ND, on January 28, 1962. To this union, three children were born: Rachel, Roben and Reese. Ardell enjoyed playing baseball when he was younger and then softball later on. He never lost his love for the Yankees even when he was calling them other names. He spent his free time tinkering on his vast collection of lawnmowers. He also enjoyed overhauling old tractors. Recently his favorite past time was playing dummy rummy, to which he had his own rule book. Ardell is survived by his wife of 51 years, Kay; his three children, Rachel (Tom) Klosterman, Wyndmere; Roben (Jim) Collins, Bismarck, ND and Reese Wickoren, Wahpeton, and five grand boys: Tyler (Crystal Luoma) Klosterman, Lidgerwood, ND; Carson (Haley) Klosterman, Wyndmere, ND; Rydell Klosterman, (attending UND) Kaiden and Chase Wickoren, Wahpeton, one great-grandson, Parker Klosterman; three brothers, Earl Wickoren, Milnor, ND, Donald (Louise) Wickoren, Moorhead, MN, Vern (Nancy) Wickoren, and one sister, Dorothy Anderson, all of Fargo, ND, and numerous nieces and nephews. He was preceded in death by his parents, three sisters, Betty Manske, Shirley Weipking, and Clarice Halmrast, and two infant brothers. The beautiful and interactive Eternal Tribute tells Ardell's life story the way it deserves to be told in words, pictures and video. My deepest sympathy to entire family. Thoughts and prayers to everyone during this difficult time. The boys have lost a big part of their lives, but I keep reminding them to cherish all the memories they had with Grandpa. I will always remember the great card games we had even though each time we played the rules changed depending on what day it was :-) Hold each other close and keep the faith. May God wrap his arms around you in this time of sorrow. Hold the memories of Ardell close to your heart. My continued thoughts & prayers go out to you all.